"Woe to him who builds his house without righteousness And his upper rooms without justice.” Jeremiah 22:13-14. The Holy Land is a sacred place for three of the world’s great religions: Catholicism, Judaism, and Islam. Integral to each are sacred sites and buildings. 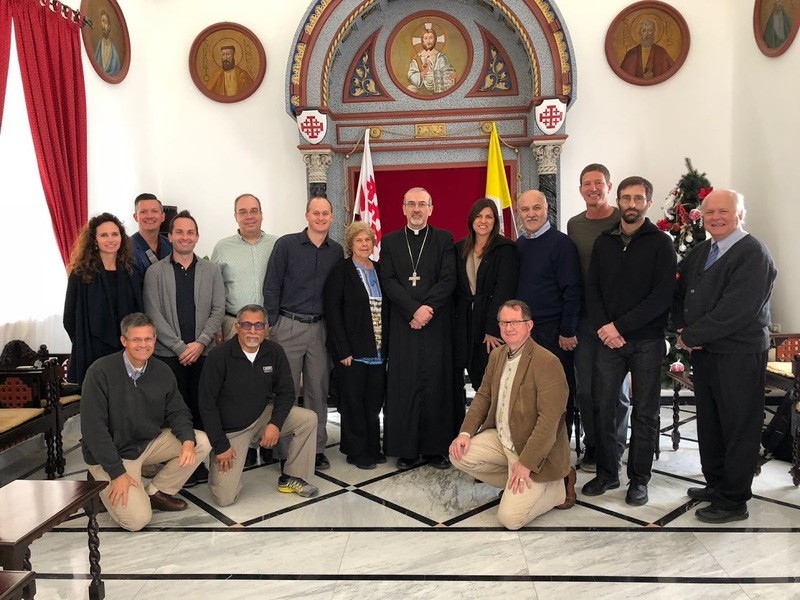 This year’s faculty travel immersion visited the Holy Land to examine the art, architecture, and engineering surrounding the most sacred sites in Jerusalem, Bethlehem, Nazareth, Galilee, and Mount Tabor. What does sacred architecture tell us about each faith? Is sacred architecture different from secular architecture? How do the buildings facilitate different types of liturgical celebration and expressions of faith? How do they contribute to the life of the community? Buildings also function as important metaphors in all three faiths and these implications were explored. The Second Vatican Council’s Nostra Aetate, “On the Church’s Relation to Non-Christian Religions,” was used as a lens to view the interaction of the three faiths. Time was spent on contemporary issues as well, some involving architecture.